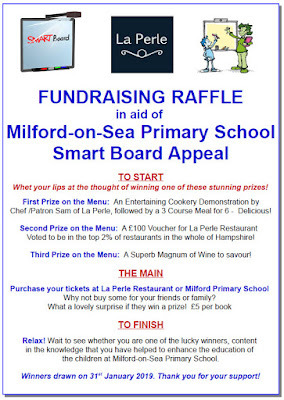 Sam at La Perle in the High Street is running a raffle to raise funds for Milford on Sea Primary School Smart Board Appeal. 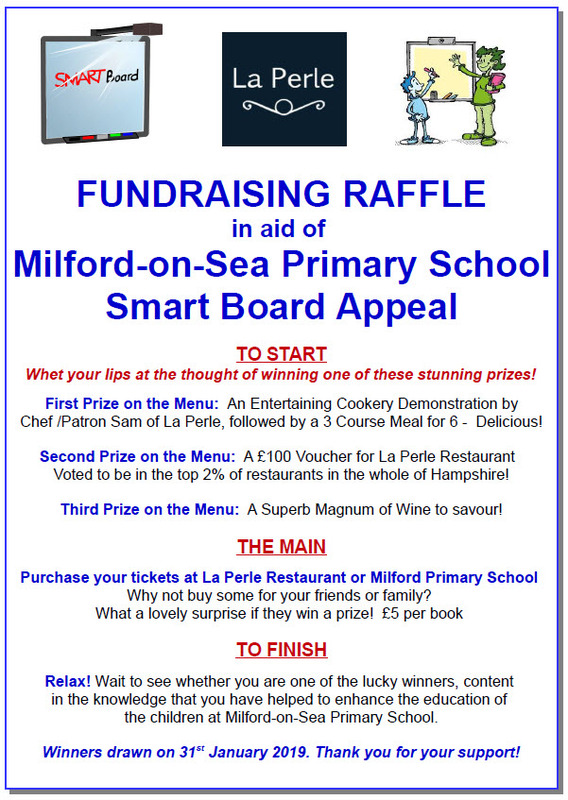 First Prize: An Entertaining Cookery Demonstration by Chef /Patron Sam of La Perle, followed by a 3 Course Meal for 6 - Delicious! Second Prize: A £100 Voucher for La Perle Restaurant. Voted to be in the top 2% of restaurants in the whole of Hampshire! Third Prize: A Superb Magnum of Wine to savour! The winners draw will take place on 31st January 2019. All details are on the poster below. To buy your tickets please just pop in. Thank you very much!